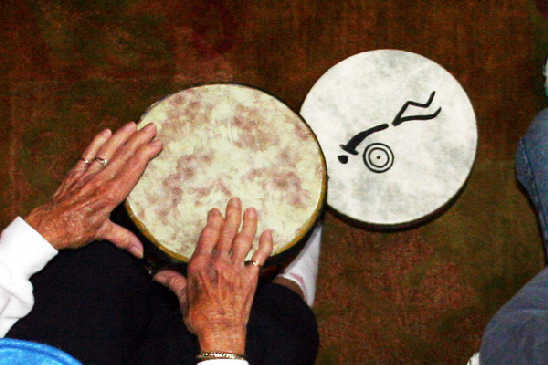 "It gets our people stimulated,...even the most confused person can drum simple rhythms...the inclusive nature of the circle is an aspect appealing to many...it boosts people's self esteem, as well as make them feel unified because everyone can participate." "...thank you for the wonderful program that you provided for the Kids of the Kingdom Summer Camp. 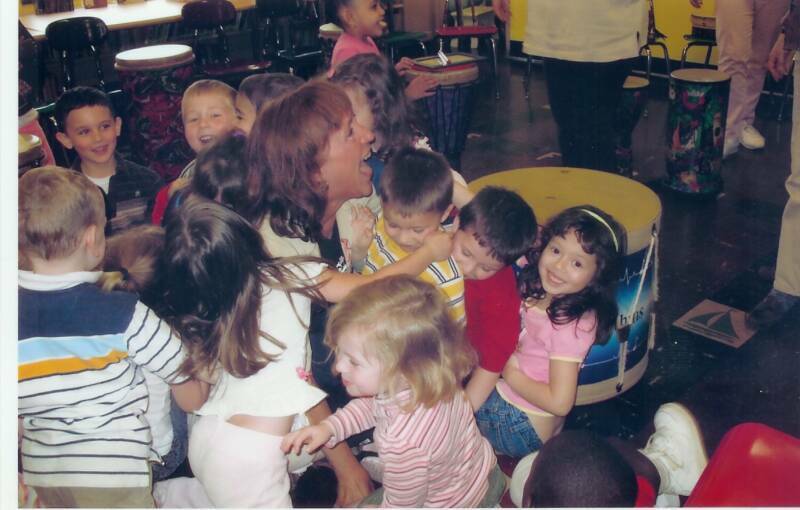 As I stood in the doorway and watched the children drumming, I felt so good about what they were experiencing. 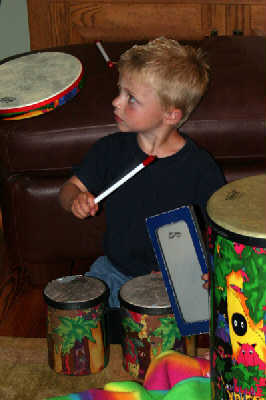 When I asked one of the children what she liked best about the day she said,"Playing the drums! 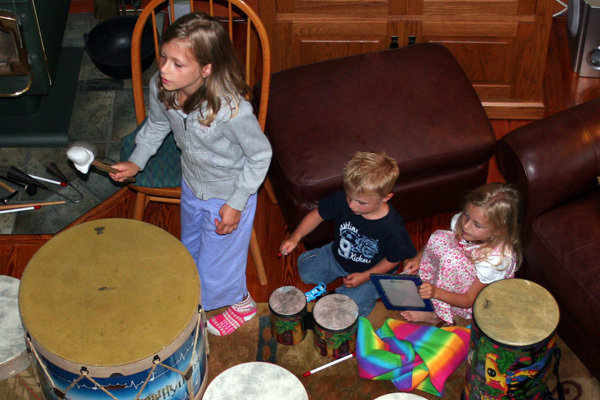 We each had a drum to play and it was really awesome!" 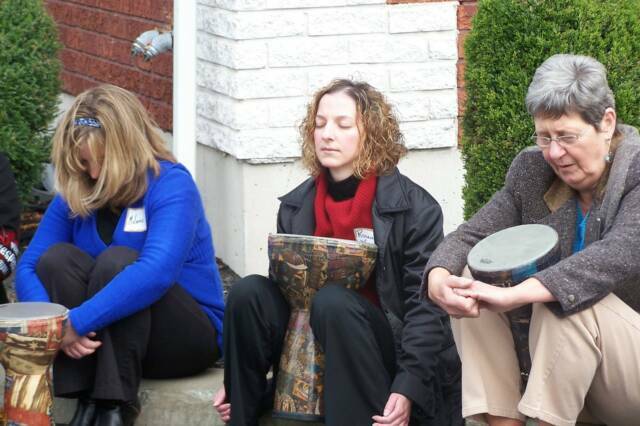 "Thank you for the awesome drumming experience at our Women's Retreat. 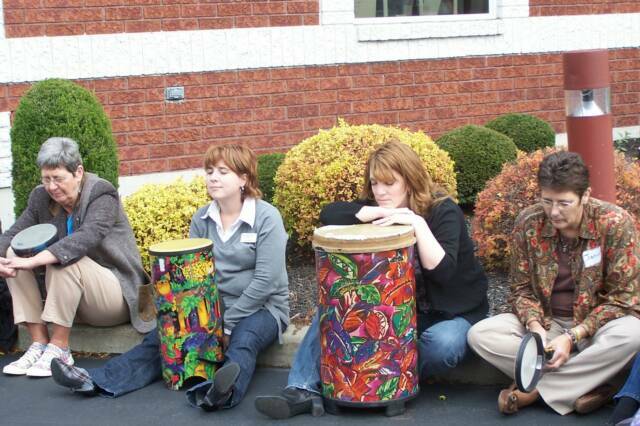 The ladies always look forward to the drumming, your enthusiasm and the total experience. Blessings to you and all that you do." "Thank you for bringing fun and rhythm and a great spirit to draw us together." 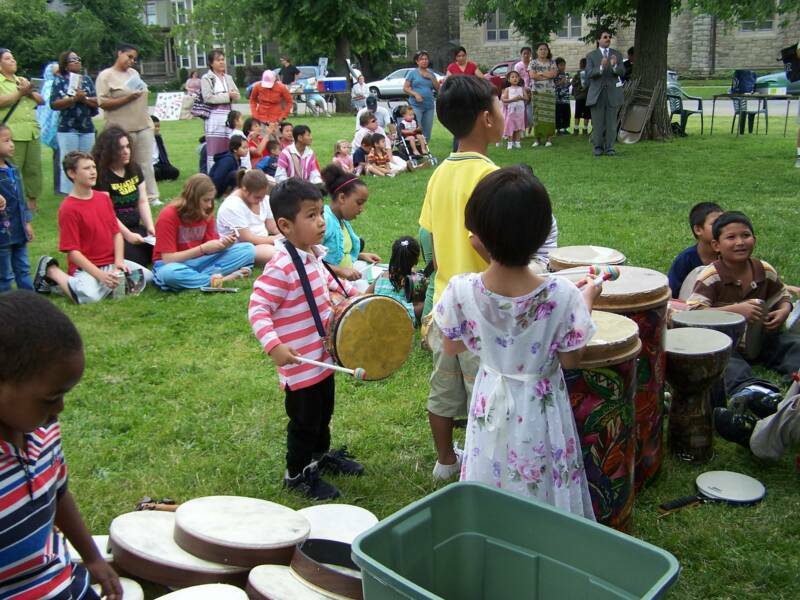 "Our students were, each and everyone of them involved,excited and happy during Drum 4 Health sessions at our school. All of our students have special needs but the drum circle brought them all together and there was something for everyone to do and learn. 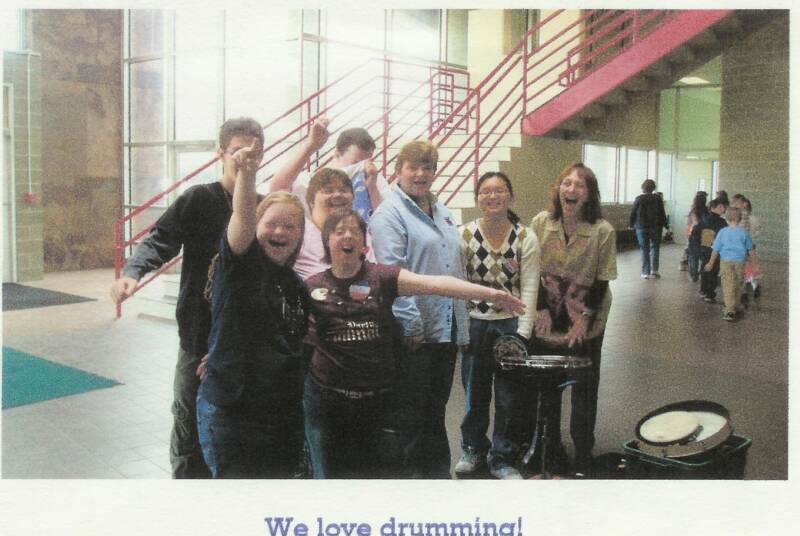 They left with wonderful smiles and happy attitudes asking when we would be drumming again." "It was awesome...wonderful, wouldn't have been without your help. 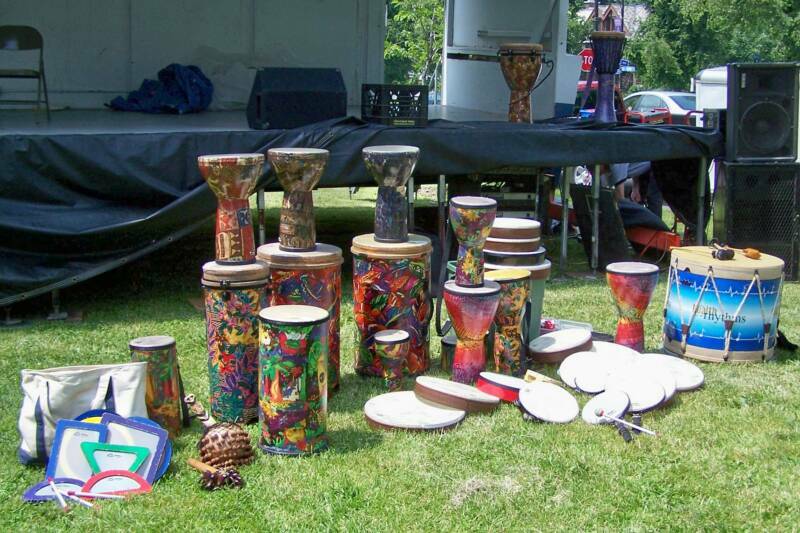 Thank you"
"I enjoyed the drum circle so much. It's been awhile since I smiled that much. 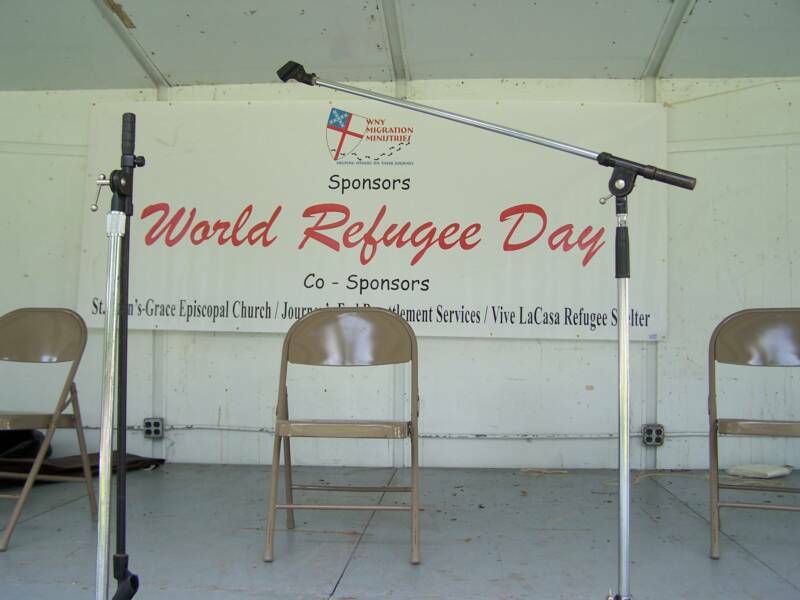 Thank you for sharing your gift and talent to all of God's children. God bless you." "Thank You! You gave us the perfect gift. 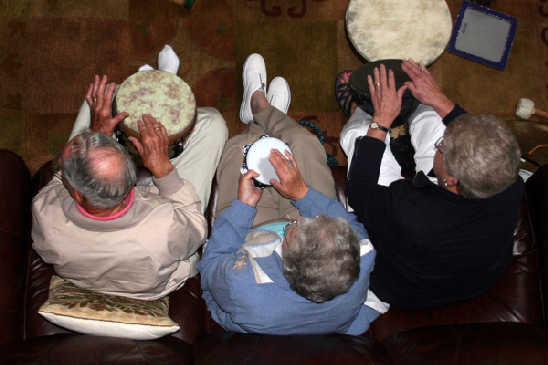 Our evening of drumming was calming and exhilarating at the same time. ...reinforcing the great cathartic elements of group therapy, community, connection, right and left brain stimulation, support and self expression to name a few. I appreciate the time that you provided for us and hope you could see how much it was enjoyed and valued. Thanks again for helping us move through our healing. "Dear Carolyn, What a blast-as the kids say, wow what fun it was. I think everyone let loose and relaxed a bit. Thank you so much for driving that far and loading up your drums. Thank you-thank you for a great fun filled day!" Last night was so special for all of us. Thank you thank you Thank you. 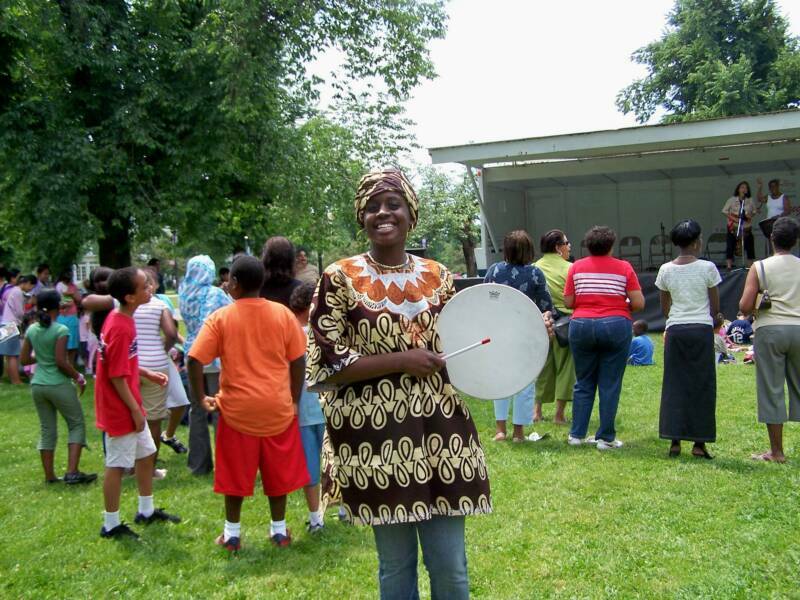 Pro Mucic Center Community drum circle.